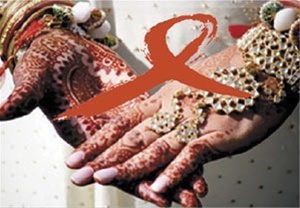 PUNE: A matrimonial meet will be organised for HIV positive men and women, who will be given free counselling, and support. The mela is being organised by Wake Up Pune, Disha NGO, Santulan Organisation and Centre for Advocacy and Research on August 7. “The main objective of this meet is to help increase the morale of HIV positive people, who end up losing confidence and live in the constant fear of develpoing AIDS. They need a support system, and a life partner can make this journey smoother, and help increase optimism,” said activist Avinash Chikranarayan. The meet, which will have free transport facilities has been organised to create awareness on HIV, and especially encourage women to come out of their homes. “The society is slowly accepting them, and this has happened due to the awareness created by media and NGOs. Arranging such matrimonial meets will further help the public, as well as HIV patients, to look at life with optimism, and enjoy a married life,” said Chikranarayan. The meet has been organised at Abdul Kalam memorial hall at Koregaon Park, and a number of HIV patients, besides NGOs are expected to participate. © 2011 Wake Up Pune.